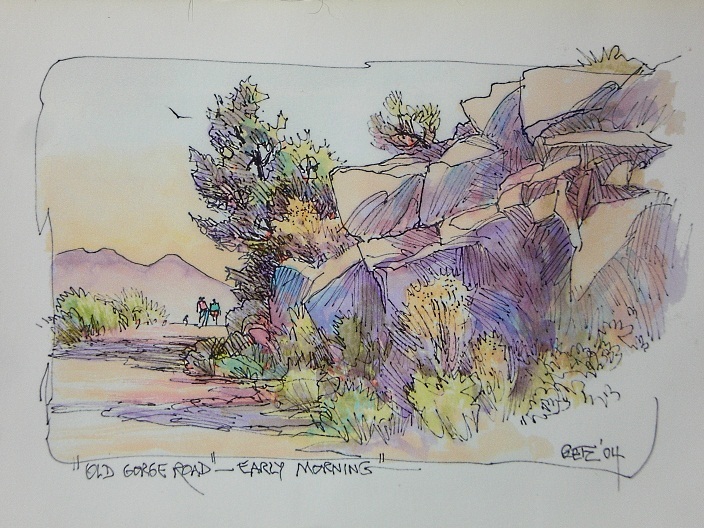 Taking a photo is ok, but to really capture the essence and feeling that you gather from the site, to do a quick sketch and add some color, cements this scene in your memory, unlike the effects of a photo. I have created over fourteen journals, during my travels in the past ten years (pic#26), from the Adirondacks to Maine (pic#25-24), to Taos, NM (pic#30), to Mendocino, California (pic#17-16-15), all of which will again be included in this tour AND places like the Grand Canyon, Mount Rushmore and many others which I have yet to enjoy! I hope that you can participate somewhere along the road, as I cross the U.S. of A. LAST CHANCE - BEFORE SPRING GETS HERE !!!!!!! Getz is holding a special three day watercolor & sketching workshop at PAA, THURSDAY, FRIDAY & SATURDAY, MARCH 5,6,7 at the Academy Studios in the heart of Peninsula Village, next to the Cuyahoga Valley Scenic Railroad Depot. The hours are 9:30 - 4pm, each day with a one hour break for lunch. Don will review his new quick method of sketching and transfering the image to the watercolor paper, in the size to suit the paper. This technique has been devel- oped by Getz, to save time getting to the actual painting. Almost every artist needs improvement in drawing skills and this simple method is sure to improve your drawing skills. Mornings will primarily be devoted to solving drawing problems, with the remainder of the day devoted to watercolor painting. This course encourages having fun and splashing around with watercolor - not a session for highly detailed painting. The fee: $280 for the three days. Make your reservation NOW by calling 330-687-2248 or visiting the Art Academy. For details on the sessions listed above, please contact me at djgetzbgolly@hotmail.com or call 330-687-2892. 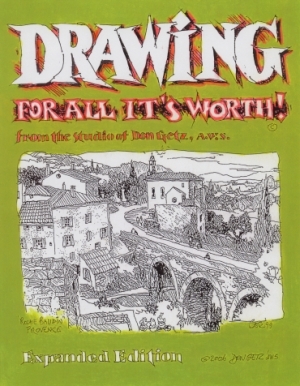 "Drawing For All It's Worth"
$35.00, includes signing and shipping. This 110 page book shows you how Don Getz creates his value sketches for paintings; why value studies are so important to the painter; how to simplify subject matter; various ways to sketch the same subject and a ton of other helpful tips on his drawing methods. DON GETZ, AWS, PO Box 182, Peninsula, OH 44264 and he will autograph the book to you. $35 includes shipping. Five journals are now available. These Journals are reproduced in a limited quantity of 200, numbered and signed by the artist. 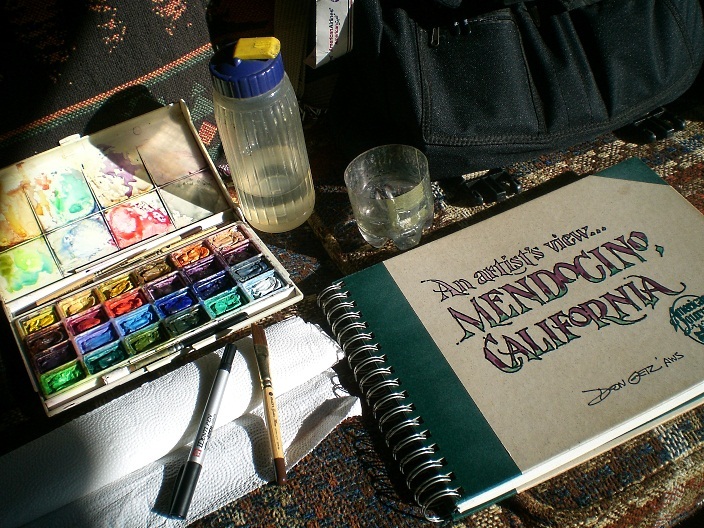 Each journal is reproduced on 90 pound watercolor paper. There are 35 pages in each journal. $50 for each unit which includes shipping, payable by check to Don. Indicate on your check the journal or journals requested. Original paintings by Getz have garnered over forty national awards, including four gold medals and have been selected for exhibition in most every national show, including American Watercolor Society (ten), Watercolor USA, Rocky Mountain Watermedia Exh., the Butler Midyear (Ohio), Midwest Watercolor Society, Niagara Frontier National Watercolor Society and numerous regionals. Along with a lengthy list of one-person shows, Getz was honored in 1992, with a 30 year retrospective at the Butler Institute of American Art. In 2000, he completed a 48" x 96" acrylic mural of the Ohio-Erie Canal, "Spring 1877", commissioned for the Cascade Locks Park Association in Akron, Ohio. In 2003, Don completed a two year project, another canal mural "July 4th, 1844", for the Spread Eagle Tavern in Hanoverton, Ohio. Getz' works are included in most of the major rubber company collections, major midwest banks, universities and numerous corporate, as well as private collections in the United States, Canada, Europe, Hong Kong and Japan. In 2002, Getz was featured in 'Artist Sketchbook, Oct. 02, 'The Artist's Magazine' Oct. 02 and 'Watercolor' Fall, 2002. 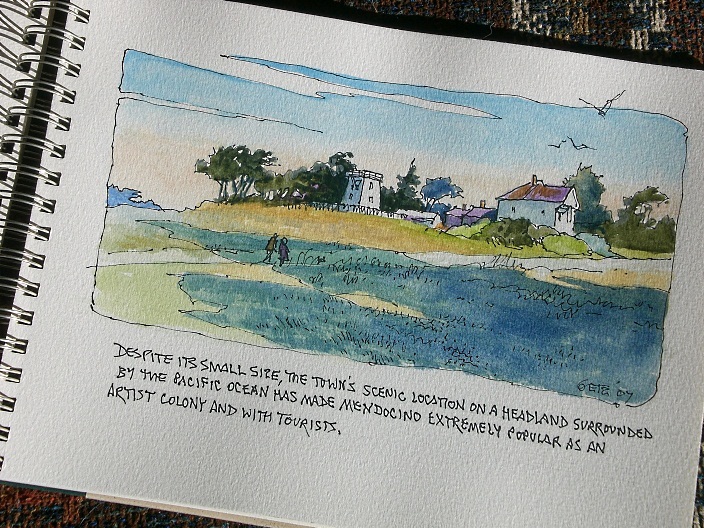 His latest challenge, creating watercolor journals, is featured in a new book on 'Plein Air Painting', published by International Artists. Getz is listed in Edition XXIII of the Dictionary of International Biographies, Cambridge, England and in the 16th Edition of Men of Achievement. Born in 1934, in the small northeast Ohio town of Salem, Don Getz took to art at the ripe age of five, drawing steel trucks and cars of customers at his father's steel fabrication business. Getz, Sr. was artistically inclined; able to create almost anything to order from metal. 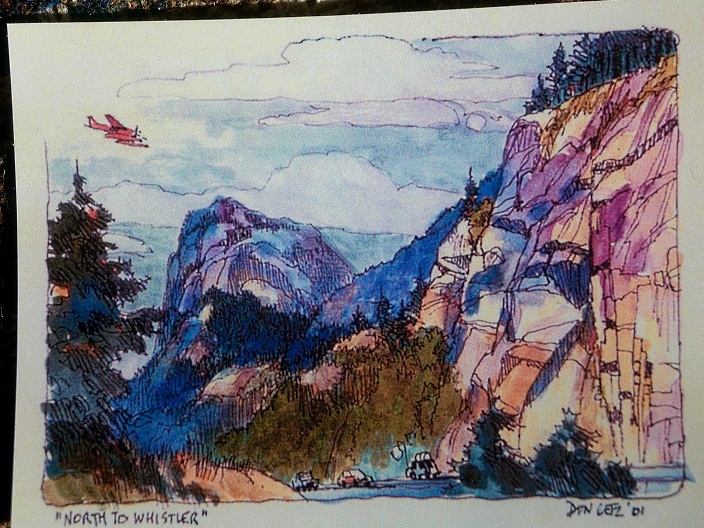 Don's mother also had a flare for art which influenced her son. Getz worked in commercial art for 23 years, as an illustrator and producer of TV commercials; turning to a career in fine art in 1977, He began painting for relaxation in 1962 and quickly began to teach others. He founded the Boston Mills Artfest in 1972, directing the two weekend event for 25 years. 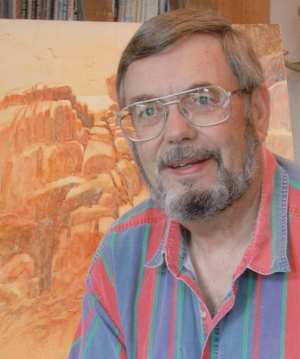 In 1978, he was instrumental in the founding of the Ohio Watercolor Society, serving as the founding president until 1988. 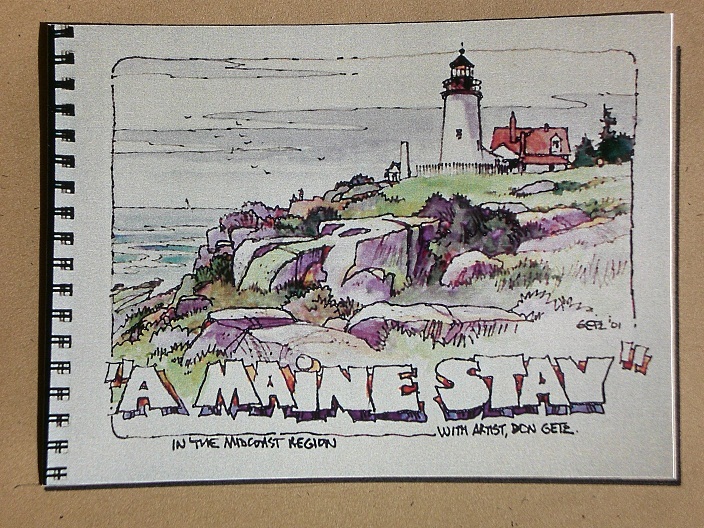 In 1980, Getz organized the Boston Mills Artist Workshops, offering up to 40 summer classes in the final year of 1984. In 1985, Getz was granted signature membership in the prestigious American Watercolor Society. He has designed and supervised the production of the annual AWS Exhibition Catalog since 1985, is a life member of AWS and serves as 4th V.P. of AWS. He also served Knickerbocker Artists-USA, as a director, for several years in the early 90's. 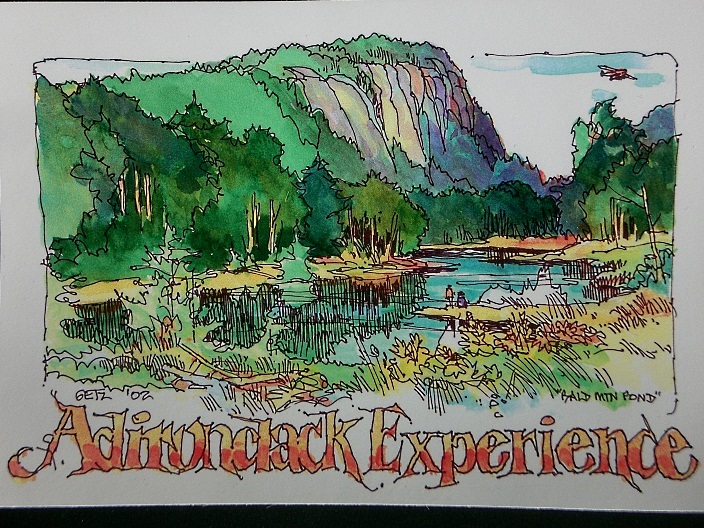 Don is also responsible for creating a series of poster paintings of the Adirondacks since 1986, for the Arts Center / Old Forge, NY. This series has become highly collectable and serves as an annual fundraiser for the art center. Getz presently serves as curator of a series of educational art exhibitions, Art @ M.D. Garage, in a restored 1940 era gas station owned by the National Park Service, in the heart of the Cuyahoga Valley National Park. 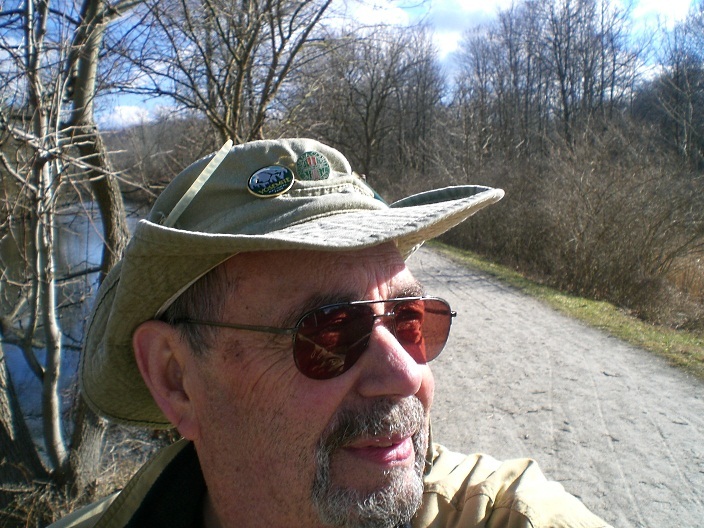 Getz is also an advisor to the NPS "Artist-In-Residence" Program at CVNP. To view more of his art click on this link: Getz Fine Art Gallery.